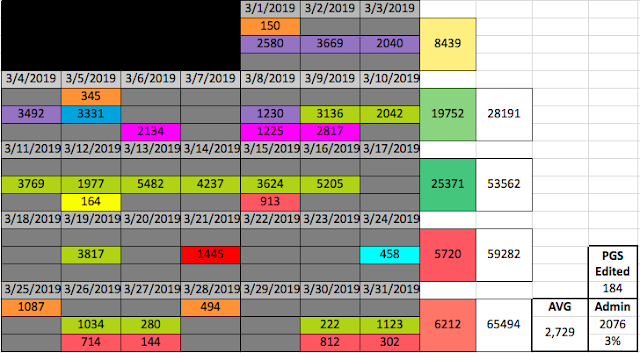 This month’s word count started out high (the first three weeks I was still playing the full-time-author) and the last two weeks were low (Yay for starting my new day job, though). I think it’s pretty clear when I went back to work. I passed the 200k for the year mark, and those benchmarks are always fun. Full confession…. My previous place of employment, while toxic AF, was my only source of a printer. So, I’ve been working on my back log of edit stuff and that was pretty much one project that had been quietly waiting it’s turn (and even that was only about half of the book).